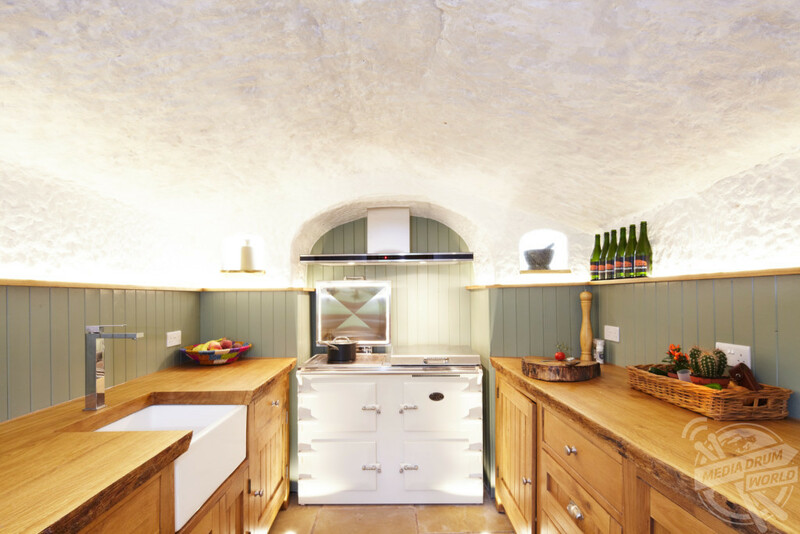 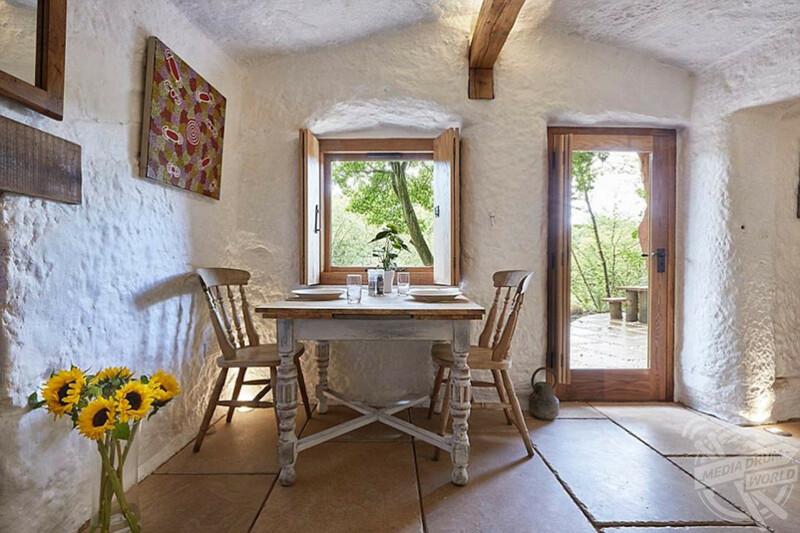 THIS HAND-sculptured 800-year-old British cave house has undergone an amazingly modern restoration to become a 21st century couple’s retreat that is available to book now from just £195 per night. 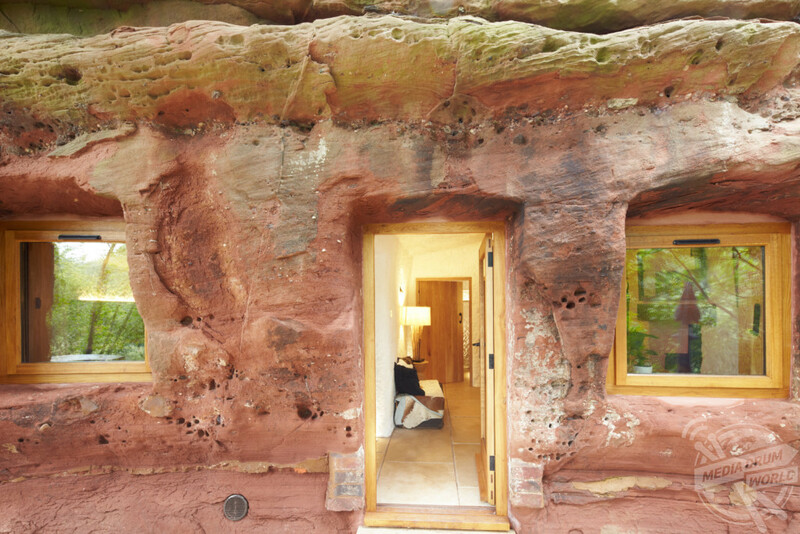 Images from the Rockhouse Retreat, located in the small village of Low Habberley, near Kidderminster in Worcestershire, show the rustic exterior of this fascinating and historic building which has been carved from a Triassic sandstone escarpment on the banks of Honey Brook. 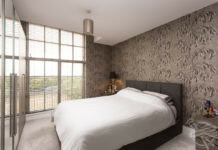 Photos of the interior show a stylish, modern-day living space which retains the charm of the outside without skimping on modern day luxuries. 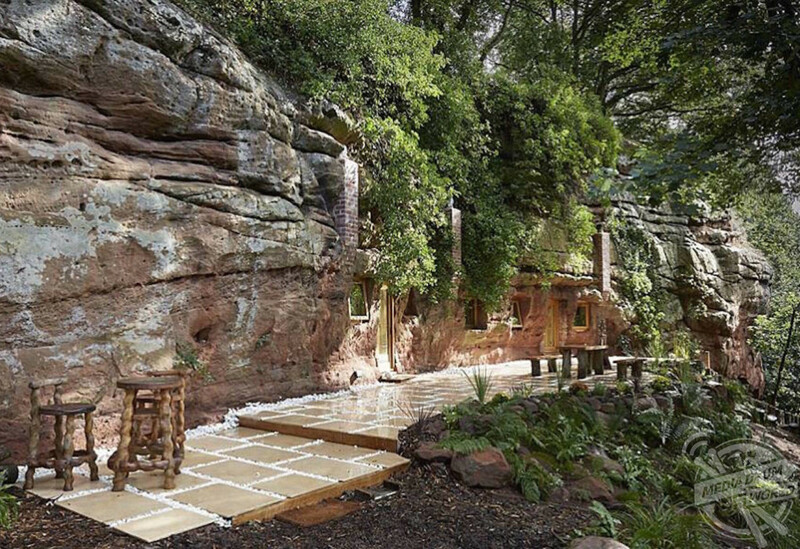 The thought provoking renovation involved hundreds of man hours and the excavation of over seventy tonnes of rock and has resulted in what is surely one of the most uniquely romantic retreats in the UK. 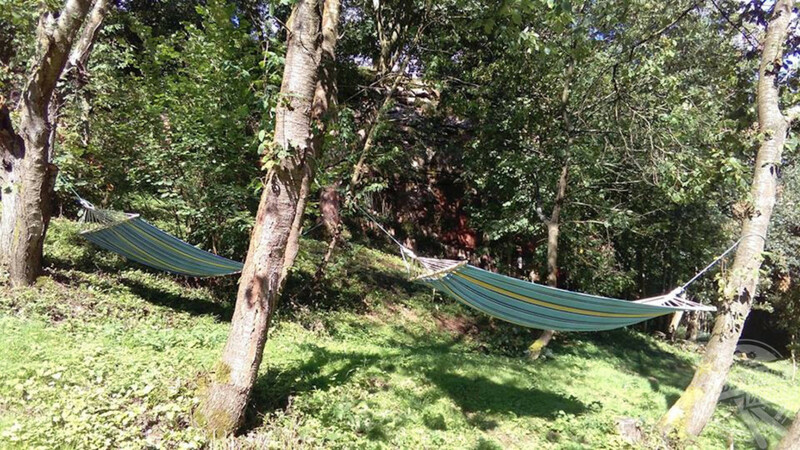 The retreat is hidden amidst a wealth of natural beauty in three acres of private woodland and is believed to have been vacated in 1962, laying empty until its recent restoration. 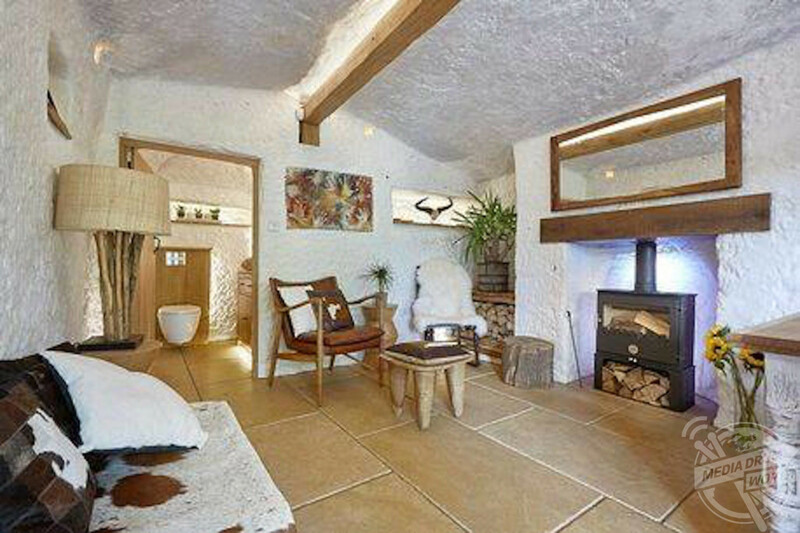 The Rockhouse, which measures at 700-square-feet, features a generous king-sized bedroom with wood burning stove, a snug sitting room which has its own fireplace and a fully fitted kitchen with all the essential mod cons. 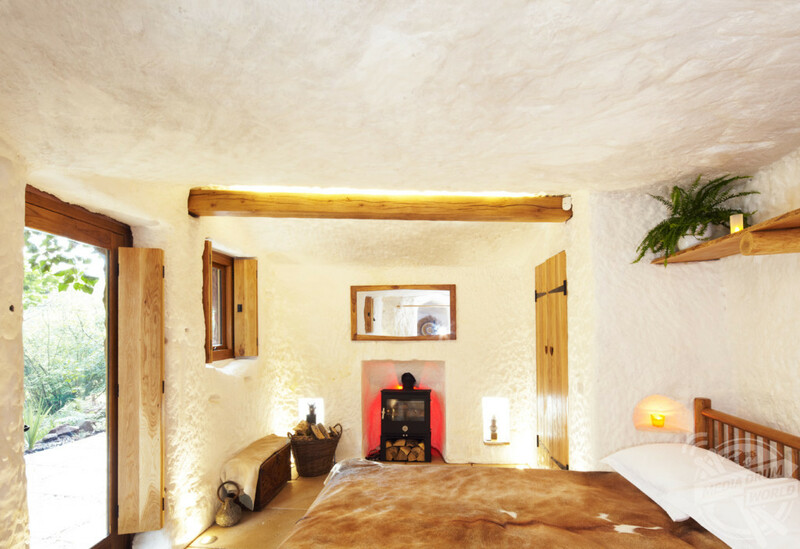 The property also benefits from modern creature comforts such as under floor heating in the bathroom, whilst a clever hidden lighting system allows for a nurturing and natural ambience throughout. 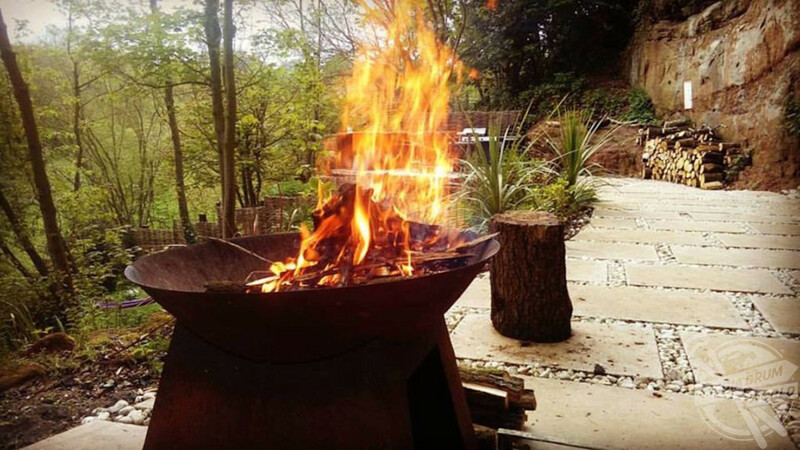 Outside, there is an ample and gorgeous terrace area where guests can cook on the gas barbecue or just dine alfresco around the fire pit. 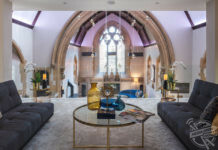 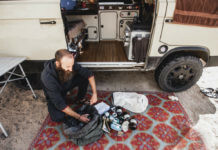 If you feel the need to leave your luxury retreat for a few hours then not to worry, there is plenty to keep guests entertained in the nearby area. 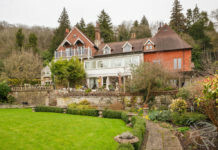 The Rockhouse is within walking distance of the historic picturesque riverside town of Bewdley, which boasts a number of independent boutiques and traditional pubs where local resident and former Led Zeppelin frontman, Robert Plant, has been known to play a few impromptu tunes from time to time. 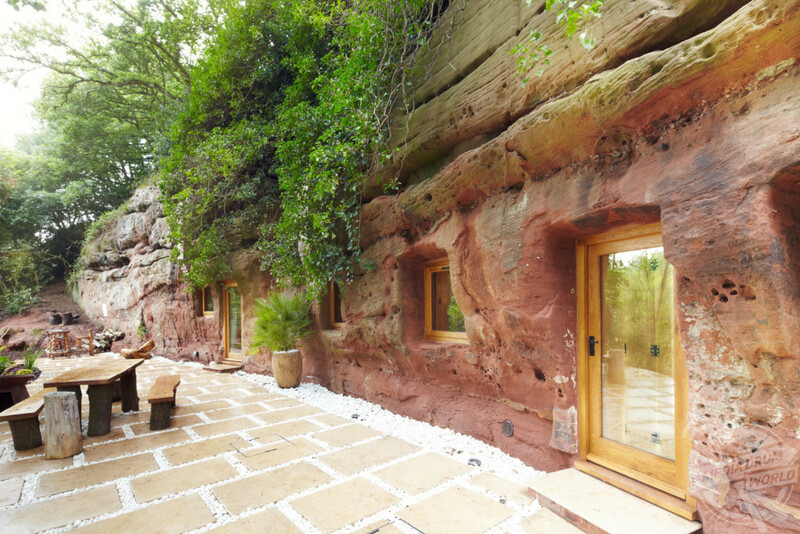 Additional local attractions include the ancient Wyre Forest, the Severn Valley Railway as well as West Midlands Safari Park among others.